Restored by a large specialist, all preserved markings and a small imagination, a coin of French currency inlaid in the plate of grips. The model '89 known as “Bodeo” was introduced in 1889 for the army and the Police officer in substitution of the model 1874 (Chamelot-Delvigne), it was in service to the 2nd War, the first version was without any system of safety, either for the soldiers, or for the officers who had the model with the protection of trigger (rigid trigger, instead of that for the soldiers which had the mobile trigger which was folded up with the lower part). The second version had a blade of safety screwed outside on the left of the structure which maintained the hammer far from the starter of the cartridge. The third version has an internal safety which interferes with the hammer, if the trigger is not drawn. Another thing to be noticed is the mechanism of Abadie loading which allows the rotation of the cylinder during recharging, without the intervention of the hammer. Into the years 1920-26 one introduced a light version, shorter with round barrel. The weapon opens for maintenance without any instrument. The name Bodeo is not official and did appear forever officially on the revolver. Carlo Bodeo was an arms manufacturer of Naples which had obtained in 1886 a patent for improvements with the revolver which related to the model 1874. Actually he did not invent anything, but he joined together in only one weapon the innovations which one found in the other European revolvers. It's an "Ordinanza Italiana 1889 Mod. 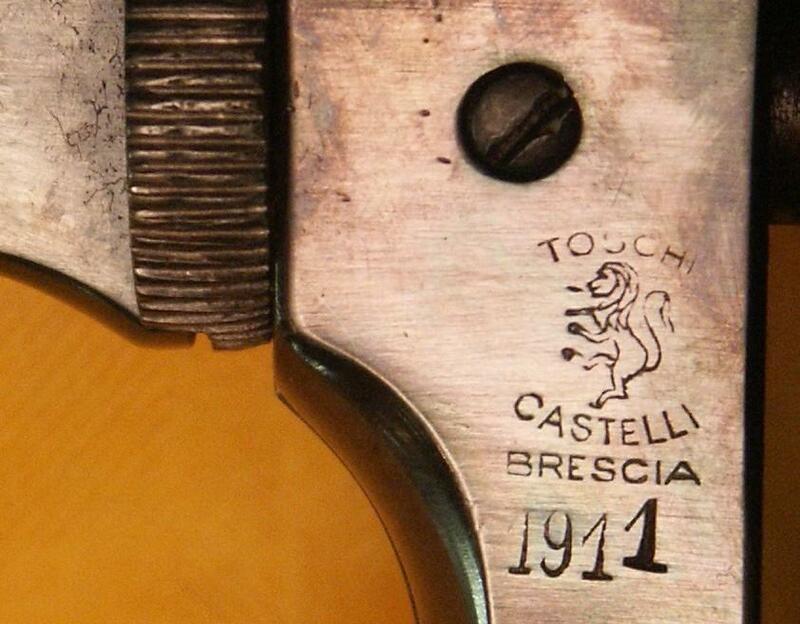 A" (Italian Ordnance 1889 Model A) caliber "10,4mm Ordinanza Italiana", produced in 1916 by "Toschi Castelli - Brescia", one of the many private factory that worked for the Italian Army. It was an important factory, and your gun is a good gun in nice conditions. The crowned RE is the mark of "Regio Esercito" (Royal Army). 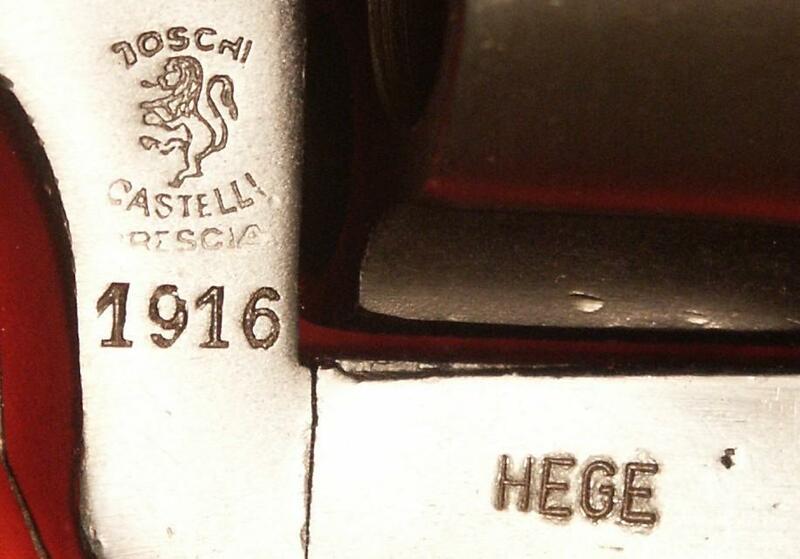 The mark in image is the proofmark of the Bench of Ulm: the revolver was in Germany during its life (probably in 1969), this isn't an italian mark. "14" and other two-digit numbers are assembly numbers. 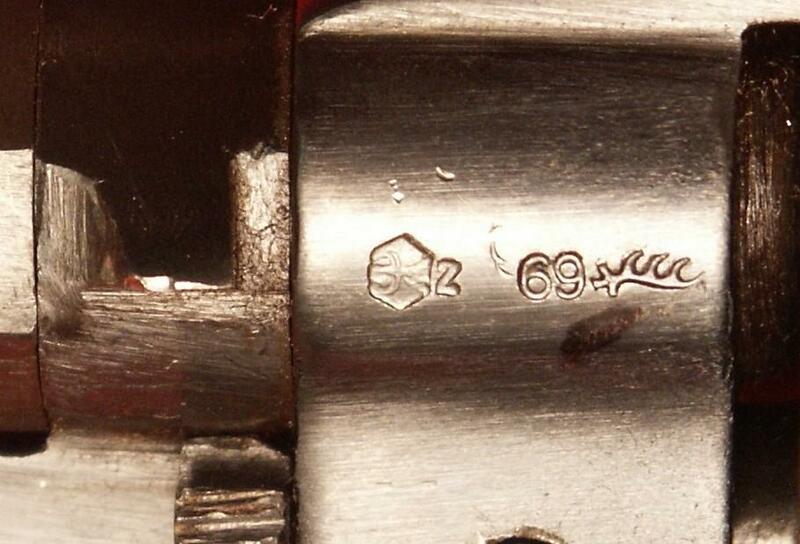 L8055 is serial number. RP in the oval is Inspector's mark. HEGE is a German importer/seller.